Whether it’s a mid-day downpour or a chillier morning, you’ll be prepared for anything in The North Face Arrowood Triclimate® Jacket. 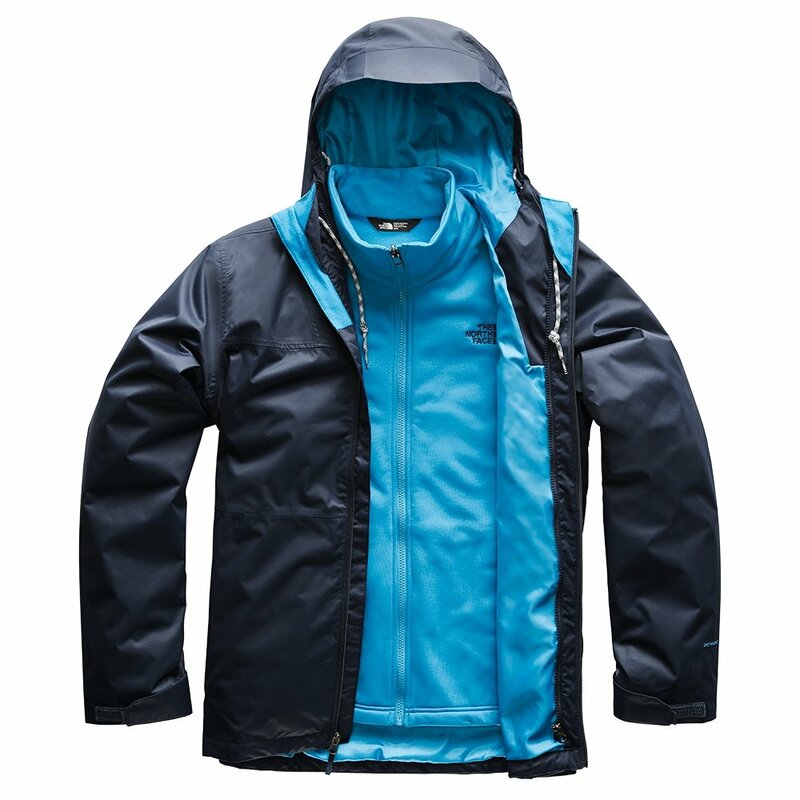 The outside shell uses DryVent™ fabric to create a seam-sealed waterproof and windproof jacket that’s ideal for those rainier days. The insulator is made from a 200-weight smooth-faced fleece for comfortable warmth that can be used on its own or layered under the shell for those colder days. The Arrowood Triclimate® Jacket also has an adjustable hood, secure-zip chest and hand pockets, and a hem cinch-cord for practical features that’ll be at home around the fire or on the slopes.